This website contains my experiences with measuring and controlling and electronics, for this I use the 1-wire devices of Maxim. The 1-wire components use a signal bus on two wires, the power of the components can also be derived from signal bus. The bus can be controlled via RS232, USB or I2C. The bus usually has a baudrate of 19k2. Each device has its own identifier of 64 bits on the bus. The 1-wire devices can be a temperature sensor, 16 bit ADC, IO. 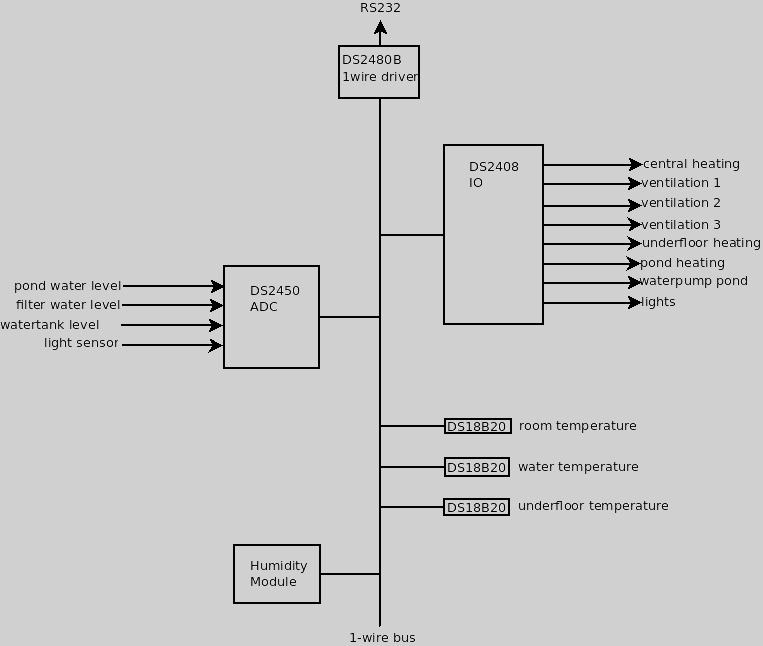 With the use of a linux server and OWFS it is possible to build all kinds temperature controls and weather stations etc. 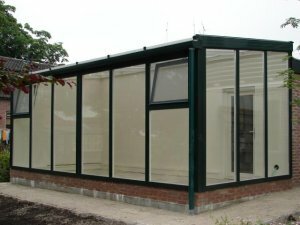 After third time to be moved, I had the opportunity to build a greenhouse for my tropical plants and reptiles of my dreams with the experiences and knowledge from previous greenhouses. Previous I used common electronic regulations, now the 1-wire devices of Maxim. Recently i replaced the controlling pc with a Beaglebone Black. My greenhouse is heated by its own central heating system with underfloor heating . 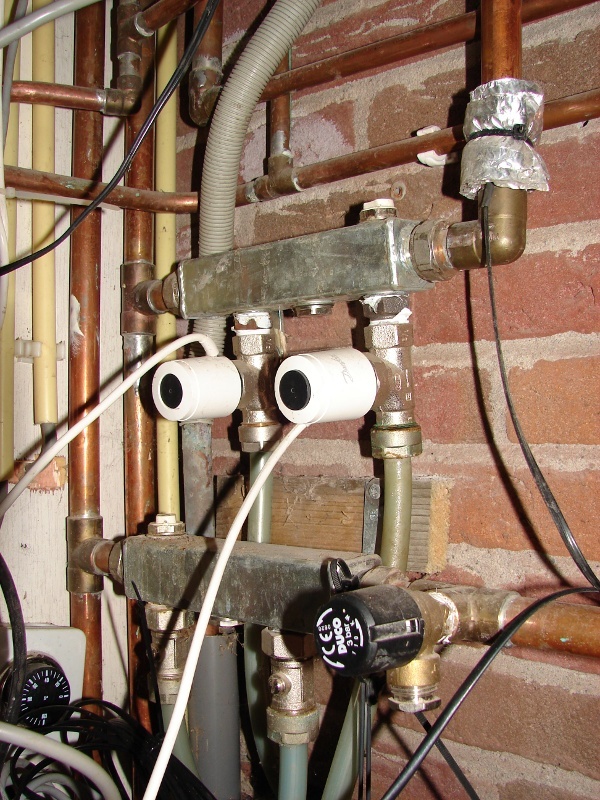 The temperature control is a simple on / off switch via a reed relay or solid state relays with this schema, the underfloor heating is controlled by an electric valve Danfoss TWA-K. Furthermore, there are three low Yaga convector radiators for heating placed in front off the windows. 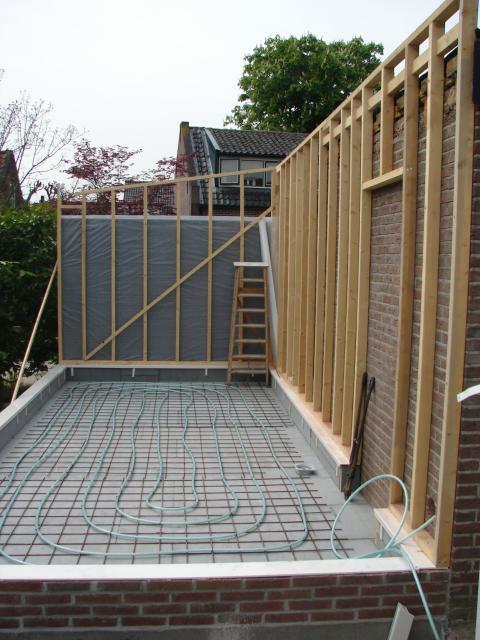 The advantage of this radiator is that they are made ​​of copper and therefore more resistant to moisture. In summer there is green mesh screen of 80% of horticulture outside the windows and homemade electric windows and air strips openers provide ventilation. There are air strips at the top of the rear wall and top of the windows, the ventilation will open in phases with increasing temperature, the strips above the windows first and then the rear wall. When the temperature rises further it will also open a window. There is also a float sensor in the filter, the pump will be off when water is too low and a sensor in the pond itself as the water gets too high by a clogged filter. These sensors are read by a DS2450,. 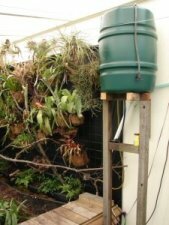 The water in the filter (under the boards) is automatically replenished through a rain barrel with a mechanical float valve.